Los Angeles is known around the world for its masterpieces of residential architecture. Famous fans of these landmark designs include Ice Cube and Moby. From L.A.’s oldest house to Mid-Century Modern icons, discover some of the most famous houses in Los Angeles. 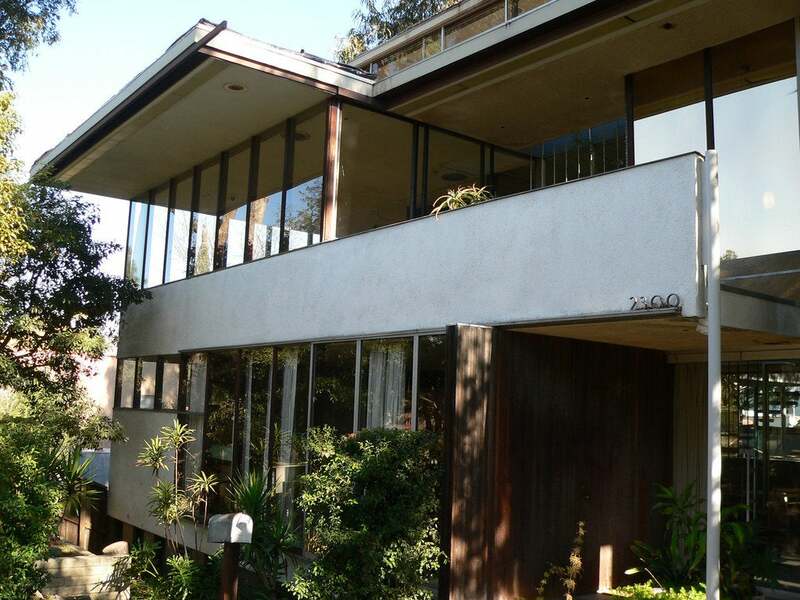 Formally known as Case Study House No. 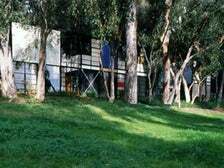 8, the Eames House is a Mid-Century Modern architectural landmark located in Pacific Palisades. 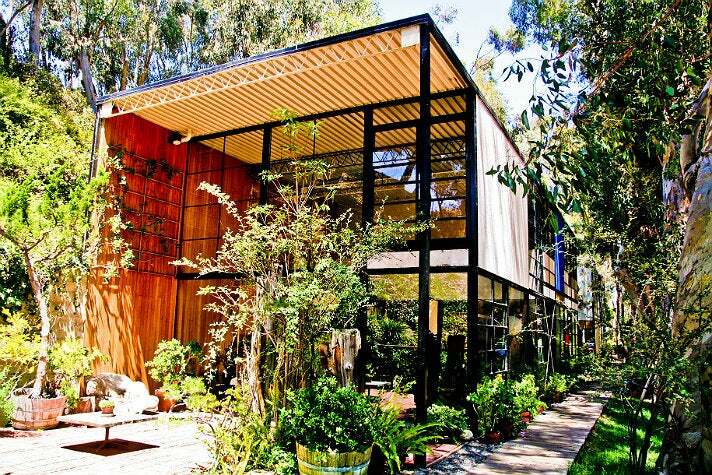 It was built in 1949 by renowned husband-and-wife designers Charles and Ray Eames, to serve as their home and studio. The couple moved into the house on Christmas Eve, 1949 and lived there the rest of their lives. According to the Eames Foundation, the interior, its objects and its collections “remain very much the way they were in Charles and Ray’s lifetimes.” The Eames House is regarded as the most successful of the 25 Case Study Houses that were sponsored by Arts & Architecture magazine, which commissioned major architects to design and build model homes for the postwar U.S. housing boom. In September 2006, the Eames House was added to the National Register of Historic Places and designated a National Historic Landmark. 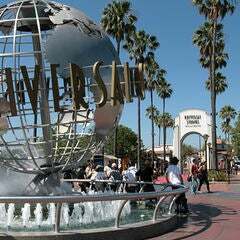 It was designated Los Angeles Historic-Cultural Monument #381 in July 1988. The public is invited to visit the Eames House for a self-guided tour of the exterior during open hours. Admission is $10 and reservations are required to visit the grounds. Groups with 10 or more visitors must make an appointment and sign a group release form prior to visiting. Guided, one-hour personal tours of the interior are available for $275 (1-2 adults) and $450 (3-4 adults). Diehard fans can indulge in an Eames tradition, a picnic in the house meadow, for $750 (1-4 adults). Includes picnic basket and a tour of the exterior and interior. The Avila Adobe is L.A.’s oldest house still standing in its original location, and is designated as California Historic Landmark #145. Originally built in 1818 by Francisco José Avila, it has since been the home to many of his family members and descendants. It even served as military headquarters in the late 1840s. 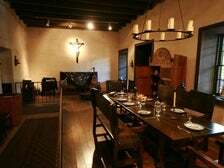 Today, the Avila Adobe’s interior depicts the California lifestyle of the 1840s. Dark wood tables, four-poster beds, candelabras and elaborate carpets create a 19th century atmosphere. The walls of the Avila house are made of adobe brick, a material consisting of clay, water and other organic materials like straw. 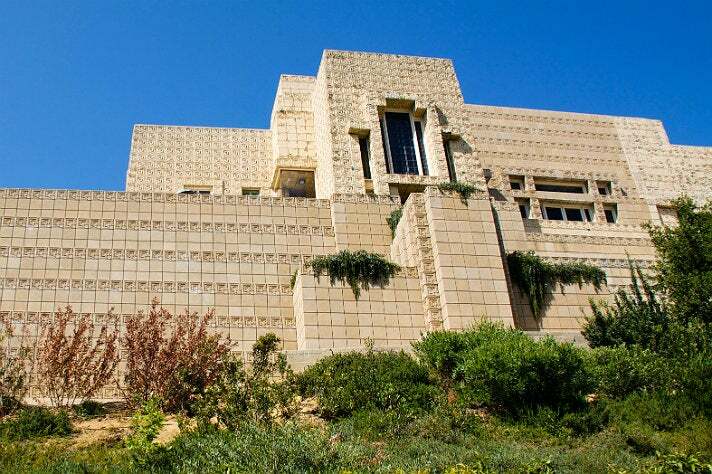 Located in Los Feliz, the Ennis House is a residential dwelling designed by Frank Lloyd Wright and built by his son Lloyd in 1924 for Charles and Mabel Ennis. GRAMMY-nominated musician and noted architecture geek, Moby has described the Ennis House as “probably the most iconic piece of L.A. residential architecture.” The Ennis House design is based on ancient Mayan temples and the ornamentation on its textile blocks is inspired by buildings in the Mayan city of Uxmal in Mexico. The home is the fourth and largest of Wright’s L.A. textile block houses, and is constructed of more than 27,000 interlocking concrete blocks. The Ennis House has made numerous film appearances, perhaps most famously in Blade Runner. The Ennis House is designated as Los Angeles Historic-Cultural Monument #149, California Historical Landmark #1011, and is listed in the National Register of Historic Places. Investor and philanthropist Ron Burkle purchased the house in July 2011. As part of the transaction, he will provide some form of public access to the house a minimum of 12 days per year, such as the sold-out AIA tour in September. 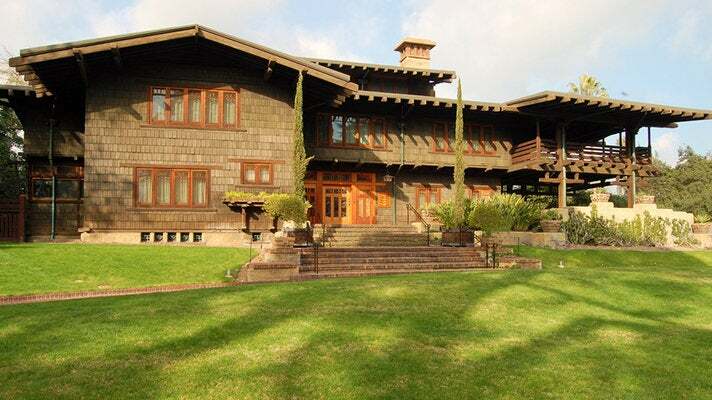 The Gamble House in Pasadena is widely regarded as a masterpiece of the Arts and Crafts style. The three-story house and its furnishings were designed by Charles and Henry Greene in 1908 for David and Mary Gamble of the Procter & Gamble Company. Today, the house is owned by the City of Pasadena and operated by the University of Southern California School of Architecture. Two fifth-year USC architecture students live in the house full-time; the resident students change every year. 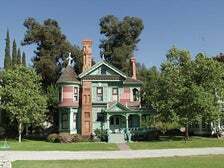 Movie fans will recognize the house as Doc Brown’s mansion from the Back to the Future movie trilogy. The Gamble House is designated as California Historical Landmark #871 and is listed in the National Register of Historic Places. The house was declared a U.S. National Historic Landmark in 1977. Limited tickets to one-hour docent-led tours are available online. Pricing is $15 for adults and $12.50 for seniors and students. Admission is free for children ages 12 and under that are accompanied by a paying adult. On Brown Bag Tuesdays, visitors can bring their own lunch, dine on the grounds, and take a 20-minute tour for $8. 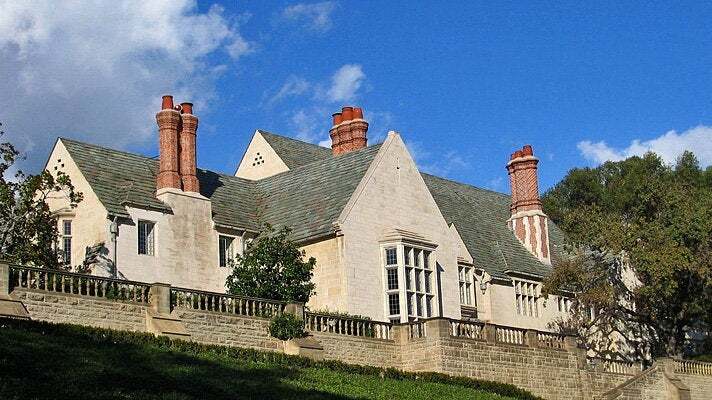 Upon land inherited from his father, Ned Doheny spent over $3 million - including $1 million for Greystone Mansion alone - constructing his estate in a combination of Gothic and Neo-Classical architectural styles, using steel reinforced concrete, Indiana limestone and Welsh slate. Just five months after he and his family moved in, he was found shot to death by his longtime friend, Hugh Plunket. Through a selling of the estate and mansion to different developers and eventually the City of Beverly Hills, the entire grounds were dedicated as a public park in 1971 and is also the site of the city’s largest reservoir. Visit the exterior park for free anytime from 10 a.m. to 5 p.m. (6 p.m. Daylight Savings) for a stroll around the majestic estate and gardens. The mansion is available for viewing only by appointment. 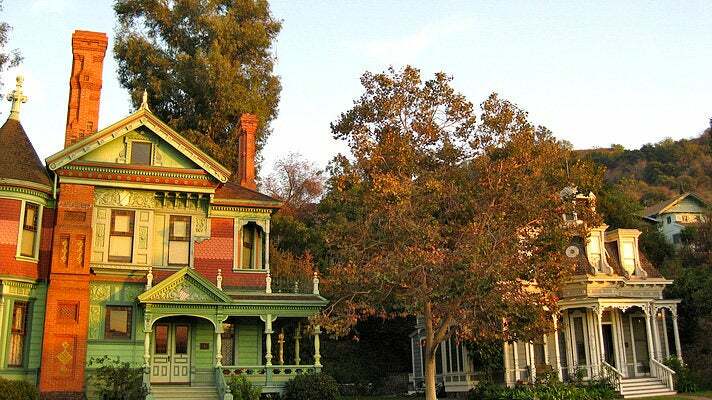 Located in Highland Park northeast of Downtown L.A., Heritage Square Museum is a living history museum that explores the settlement and development of Southern California during its first 100 years of statehood. The eight historic structures located at the museum were constructed during the Victorian Era. 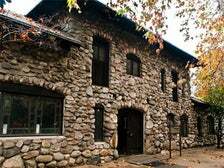 They were saved from demolition and rebuilt at the museum site along the Arroyo Seco. Historic residences at the museum include the Hale House, Valley Knudsen House, John Ford House, Perry Mansion and the Octagon House. The buildings serve as a perfect background to educate the public about the everyday lives of Southern Californians from the Civil War to the early 20th Century. Guided tours of the museum are supplemented by living history performances, educational programs, hands-on training, exhibitions and special events. Following a multimillion-dollar restoration, Frank Lloyd Wright's Hollyhock House, an iconic architectural masterpiece in the heart of Barnsdall Park, reopened to the public February 2015. 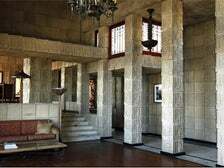 Built 1919-21, Hollyhock House marked Frank Lloyd Wright's first architectural project in Los Angeles. 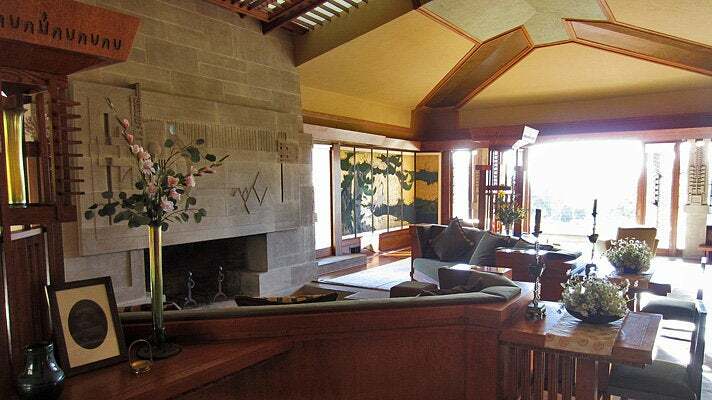 Hollyhock House boasts an architectural style known as "California Romanza" (from the musical term meaning "freedom to make one's own form"), which complements L.A.'s significance as a trendsetter in the arts and architecture. Hollyhock House was designated Los Angeles Historic-Cultural Monument #12 in 1963, added to the National Register of Historic Places in 1971, and designated a National Historic Landmark in 2007. Self-guided "Walk Wright In" tours are available Thursday-Sunday from 11 a.m. to 4 p.m. Pricing is $7 for adults, $3 for students and seniors with I.D., and free for children under 12 when accompanied by a paying adult. 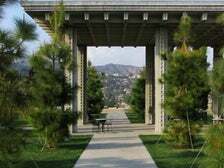 Private docent-led tours can be booked by calling 323.913.4030 or by email: hollyhock@barnsdall.org. Hollyhock House is closed annually during the month of October for maintenance and upkeep. Charles Fletcher Lummis was a famous author, photographer, and an activist for Native American rights and historic preservation. 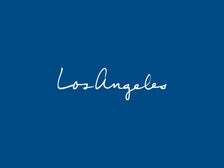 Lummis was the first City Editor of the Los Angeles Times, when the city population was only 12,000. He later became the city librarian of the Los Angeles Public Library. In 1907, Lummis founded the Southwest Museum of the American Indian, now known as the Historic Southwest Museum Mt. Washington Campus of the Autry National Center. 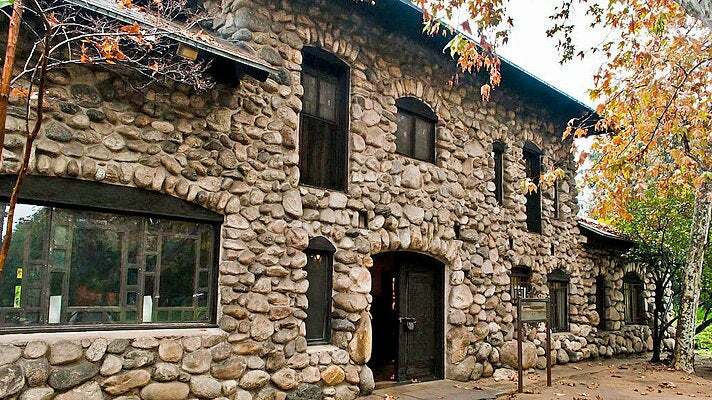 Lummis built his home - named El Alisal after the local sycamore trees - on the west bank of the Arroyo Seco over a 12 year period, from 1898 to 1910. The house reflects Lummis’ love of the American Southwest, with a design inspired by mission architecture and the dwellings of the Pueblo Indians. The south-facing facade is made with stones from the Arroyo. The beginnings of the Arts & Crafts movement can be seen in the hand-made wooden furniture, exposed beams and concrete floors. The Lummis House was designated a Los Angeles Historic-Cultural Monument in September 1970, and added to the National Register of Historic Places in May 1971. 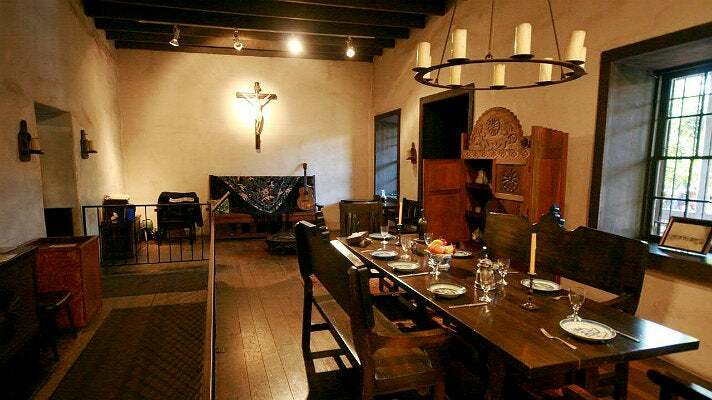 The Lummis House is operated by the Historical Society of Southern California and is open to the public for tours Friday-Sunday, from noon to 4 p.m. The site that is currently known as the Annenberg Community Beach House was originally a five-acre oceanfront property belonging to William Randolph Hearst and his mistress, Marion Davies. 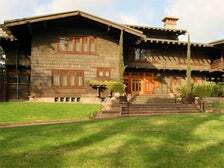 The lavish compound was designed in the Georgian Colonial-style by architects Julia Morgan and William Flannery and featured a three-story main house, three detached guest houses, servants' quarters, dog kennels, tennis courts and two swimming pools. 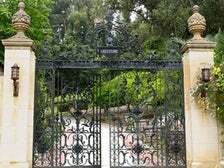 The legendary parties held at the compound during Hearst and Davies’ tenure had guest lists that often numbered in the thousands. Luminaries such as Howard Hughes, Clark Gable, Charlie Chaplin, Bette Davis, Carole Lombard, Cary Grant, Winston Churchill, and Gloria Swanson all spent time at the massive estate at one time or another. The site operated as the popular Sand & Sea Club for decades, then sat vacant and boarded up for years until the city of Santa Monica announced plans to renovate and reopen it as a public beach facility. Renowned philanthropist Wallis Annenberg donated $27.5 million to the cause. During the renovation, all of the remaining original structures from the Hearst days were demolished, except for a 110-foot Italian marble swimming pool and one of the guest homes, now known as the Marion Davies Guest House. The Annenberg Community Beach House opened to the public in April 2009. The site is open daily and is also used as a special events/wedding venue and filming location. The only Richard Neutra-designed house that is now open regularly to the public, the Neutra VDL Studio and Residences is a Silver Lake hidden gem that was built by the famed architect in 1932. He ran his practice out of a studio here, and along with his wife Dione, raised three sons in this house, which he designed to demonstrate that Modernist principles could be enjoyed by less affluent clients, while maintaining privacy. Natural light, glass walls, patios and mirrors are hallmarks of the Neutra VDL House. Tours of the property, given by Cal Poly Pomona architecture students, are offered on Saturdays from 11 a.m. to 3 p.m. When this residential house was built by Vienna-born Rudolf Schindler back in1922 - inspired by a recent trip to Yosemite with his wife - it was extremely unconventional at the time for a place to live. In reality, it was meant to be a cooperative live-work space between two families, much like a camp site. 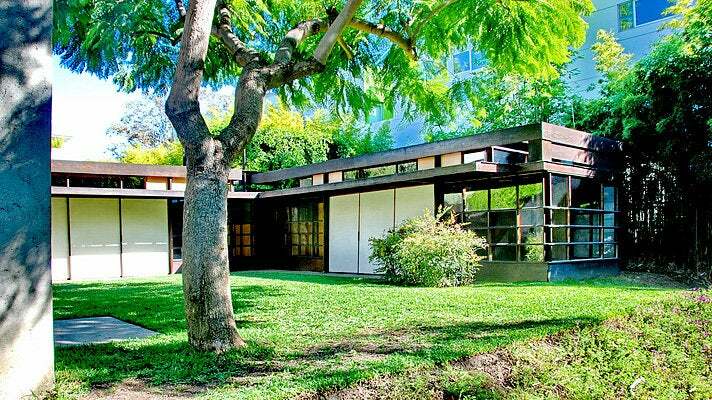 Having been the residence of the Schindlers and then other creatives, this WeHo hidden gem is now listed on the National Register of Historic Places and is open to the public Wednesday through Sunday as an architectural center. 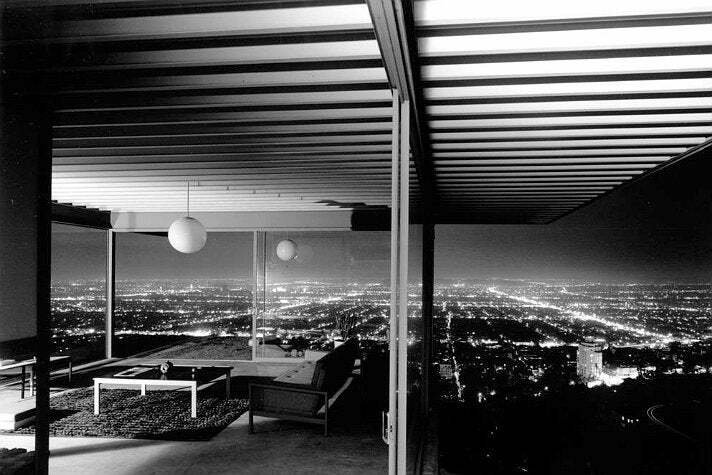 The Stahl House (aka Case Study House #22) was designed by architect Pierre Koenig and built in 1959. Perched in the Hollywood hills above the city, the Stahl House is an icon of Mid-Century Modern architecture. 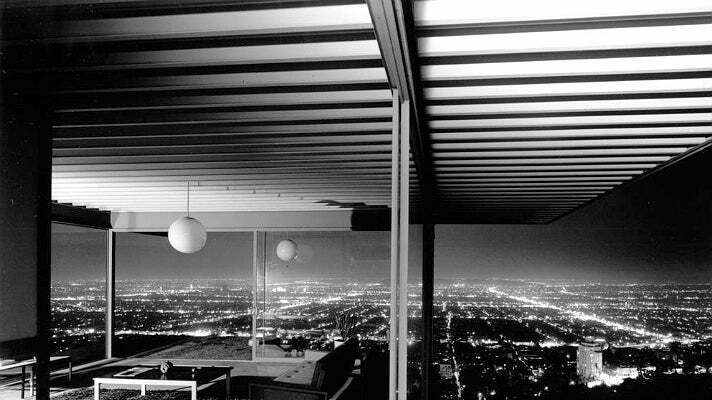 A 1960 black and white photograph by Julius Shulman, showing two women leisurely sitting in a corner of the house with panoramic views through floor-to-ceiling glass walls, is one of the most famous architectural photos in history and a quintessential Los Angeles image. In 2016, TIME named Shulman's photo one of the 100 Most Influential Images of All Time. 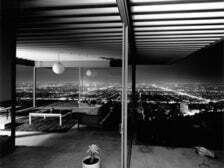 The Stahl House was declared Los Angeles Historic-Cultural Monument #670 in 1999. In 2007, the American Institute of Architects (AIA) listed the Stahl House as one of the top 150 structures on its "America's Favorite Architecture" list, one of only 11 in Southern California, and the only private residence on the list. The Stahl House was added to the National Register of Historic Places in 2013.